Planning our first family ‘safari’ for many years was never going to be straightforward. 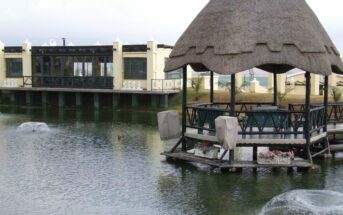 We needed somewhere that did not involve hours of driving and located within easy reach of Durban and Johannesburg. One family member had just returned from surgery and another was about to undergo major back surgery. Our party wanted a home from home feeling where we could self-cater and generally do our own thing. We needed a holiday! The key factor was that the lodge should be wheelchair friendly. We were travelling for the first time with Tristan, my brother-in-law and partner in the SafariKZN project. Tristan is a quadriplegic, confined to a wheelchair, with specific day to day needs. This trip was down to the fact that we now had Betsy the Bus, a wheelchair friendly converted vehicle that enabled us to travel as a family. So where was best for us that would meet our growing list of needs? More to the point, realistically, could there be anywhere suitable? We were all familiar with Nambiti Pvt Game Reserve and after some research we contacted Cheetah Ridge Lodge. The bookings team at the lodge had probably never been asked so many questions. We were needy, and at this point, only potential guests. Every query was dealt with efficiently and promptly. We were now guests in waiting. 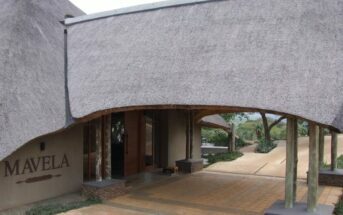 I still had one big question, more of a huge favour for the lodge and reserve, that would only be answered on arrival. With military like precision we were ready: Betsy full of diesel, new mobile hoist, food, alcohol, charcoal, and all essentials packed and ready. On arrival we were guided to the lodge and allowed to take our vehicles to the front door. They were allowed to be parked here for the duration of our stay. Unpacking and setting up we realised one thing would not work. The new hoist would not go under the bed meaning we had no means of getting Tristan from his chair into bed. Within minutes of mentioning this to the main lodge reception we had a team raising the bed off the ground and with the help of housekeeping we were sorted and ready to relax. The lodge had everything we needed from wine glasses to wood for the fires. And what they did not have we just had to ask for. Steve, our guide for the duration of our stay visited us in the afternoon to make arrangements for game drives and to ensure we had settled in. Later that afternoon he was back in the game viewing vehicle and we were off exploring the reserve. The vistas and back drops here are sensational. There can be no more than a handful of places on earth where you can see African elephants, the biggest mammals on earth, with snow covered mountains in the background. Game was a plenty and there were very special moments spent with a female white rhino and her young calf. The reality of the poaching crisis is here to see, as mum has been de-horned in an effort to protect her. There were also signs of the severe drought that had effected the the province for many months. 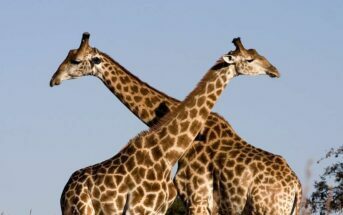 Scattered amongst the pale straw like grass we passed the carcasses of two giraffe. Their hides and white bones were all that remained. As our drive came to an end and darkness dropped in, Steve first spotted a pair of bush pigs, rarely seen on a drive, and them an elusive serval cat following a fence line. This was a special ending to the end of a very special day. On returning to the lodge the fires had been lit, inside and out. Supper under the countless stars was not far away. And those that stayed behind with Tristan were buzzing as there was talk of lions being spotted outside of the lodge. There was also great excitement as elephants had already walked up the road in full view from our garden. We were all thrilled with the day’s events and encounters. Steve found himself with just me for company on one early morning game drive. I have never been one to request what I wanted to see on drives. Guides nearly always ask if there is anything in particular guests want to see. I normally just go with the flow. We were chatting generally about sightings and encounters and I mentioned that in all the years I had been visiting South Africa I had never had a close encounter with a big fully grown male lion. Yes, I had seen many lions but never a big male close up. As the conversation continued a radio message came through and the only word I understood was ‘ibhubesi’, the Zulu word for lion. A smile beamed on Steve’s face. “You know what that means, don’t you?” he asked. “Yes I know, and I assume it’s a male” I replied. Within 10 minutes we were very slowly making our way down a narrow dirt road. Steve thought the lion may even be walking up that road towards us. He was not wrong. The biggest lion I had ever seen was now less than 100 meters from us and walking straight toward us. I did not have time to be nervous or afraid as he passed on my side of the vehicle. I could see the dust his every step created and his breath in cold morning air. As he drew level with me he glanced over and our eyes met. He could probably hear my heart beat. After a well deserved morning tea stop we came across him again sitting in the now warm sunshine. He was a truly magnificent creature and a true king of the beasts. We spent our time when not on drives just relaxing. We sat in the boma, on the veranda and in the garden. We resisted the cool waters of the pool but in summer that would be a must. We cooked in the kitchen and on the open fire. We ate in the day outside and after dark in our dining room. Before bed we sat in the lounge around the roaring open fire. We were on holiday! As our last afternoon arrived my big question, or favour, was answered. I had written in advance asking if there was any chance that we could be granted permission to take Tristan’s wheelchair adapted vehicle out into the reserve. Nambiti strictly forbids this and understandably so. However they made an exception. Steve would drive the game viewer and I would follow him in Betsy. “Keep as close as you can” was his main instruction. I assumed we would drive the short distance to the nearest water hole. We seemed to be getting deeper into the reserve, passing elephant, wildebeest and giraffes. We came to a halt by an open fire in the bush which shone its flames onto a preset table of drinks and snacks. We were a little overwhelmed as a family AS we surrounded the fire and watched the evening star rise and path the way for darkness and the milky way. Our first family safari had come to an end and we all wished we were there for longer. I cannot thank the staff at Cheetah Ridge Lodge and Nambiti Pvt Game Reserve enough for making this safari truly special.